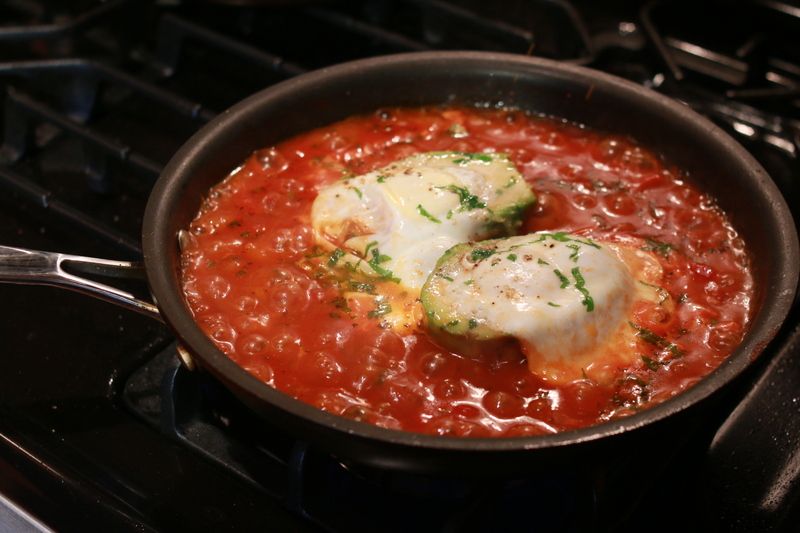 In need of the perfect brunch meal that will impress any diner, but is shockingly easy to make? I have got you covered. Full disclosure, I did not actually cook this meal, my wonderful fiancé made it for me the morning after Valentine’s Day. Mashed potatoes are probably my favorite food ever (avocado is a close second) and luckily we had plenty leftover from our Vday dinner. 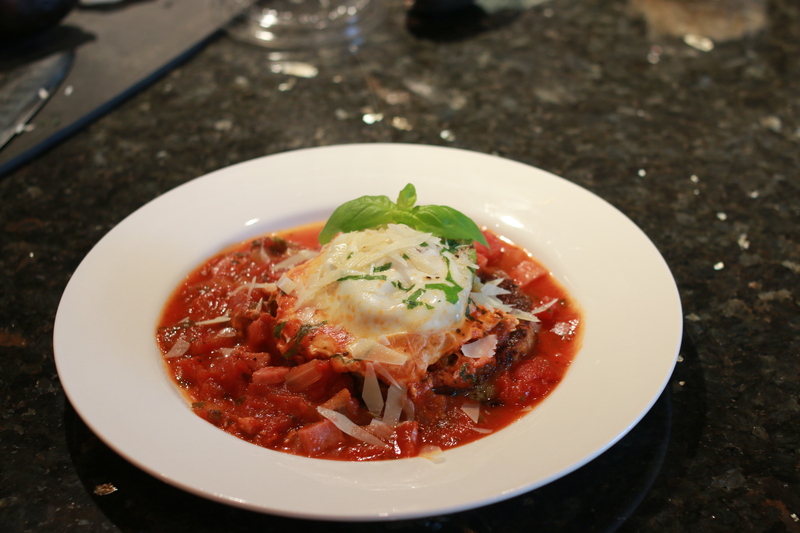 This meal was inspired by what was in our fridge, did not take long to cook and was absolutely delicious. I mean does it get any better than that? Dice the pancetta and onion. 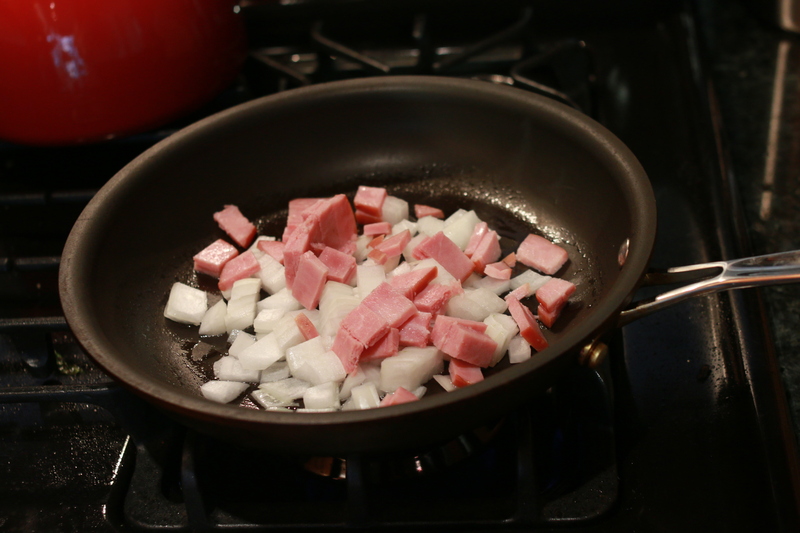 Sauté the onion and pancetta in a pan on medium heat. 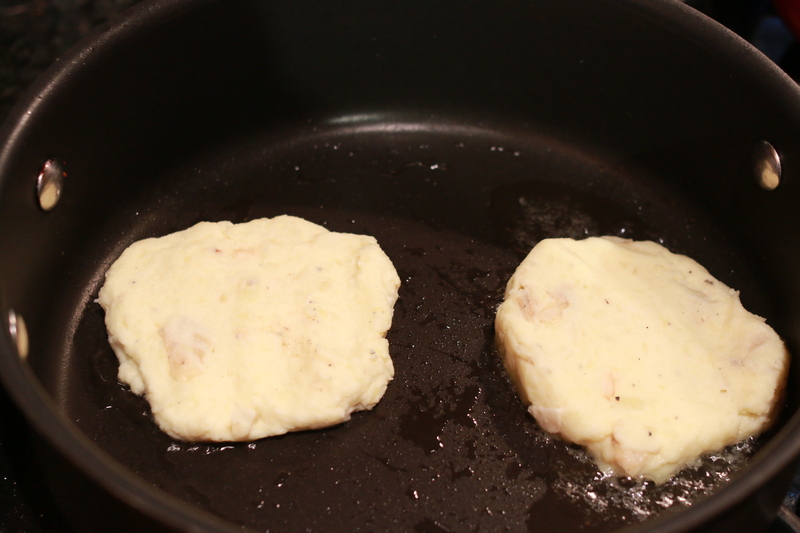 Make thick pancakes out of the mashed potatoes and then place into a separate pan on low/medium heat. Flip once lightly golden. 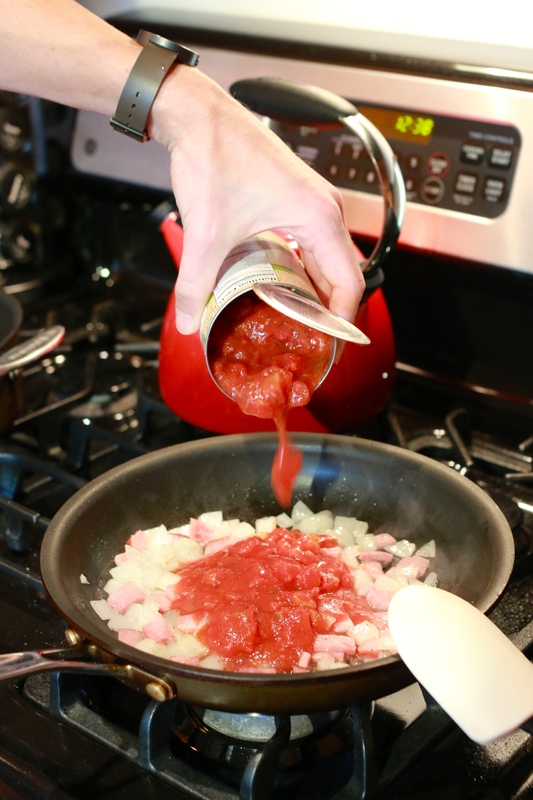 Once the onions start to turn translucent add the diced tomatoes to the onion and pancetta pan. 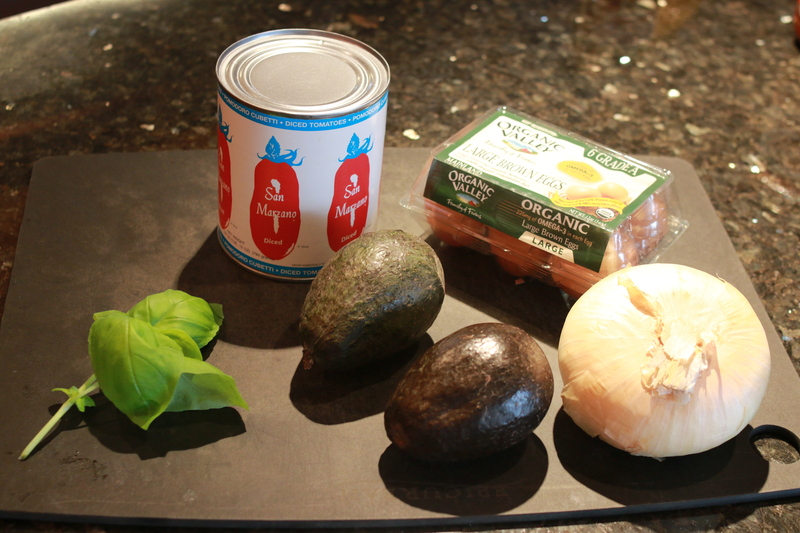 Place avocado in the pan with the tomatoes, onions and pancetta. Add basil. Make sure you are keeping an eye on the potatoes and that they aren’t burning. 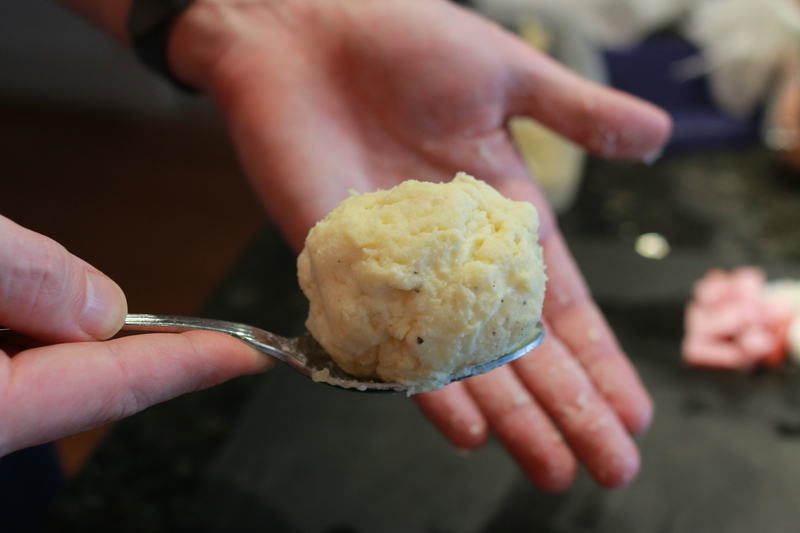 Once the potatoes are lightly browned/golden remove from heat. 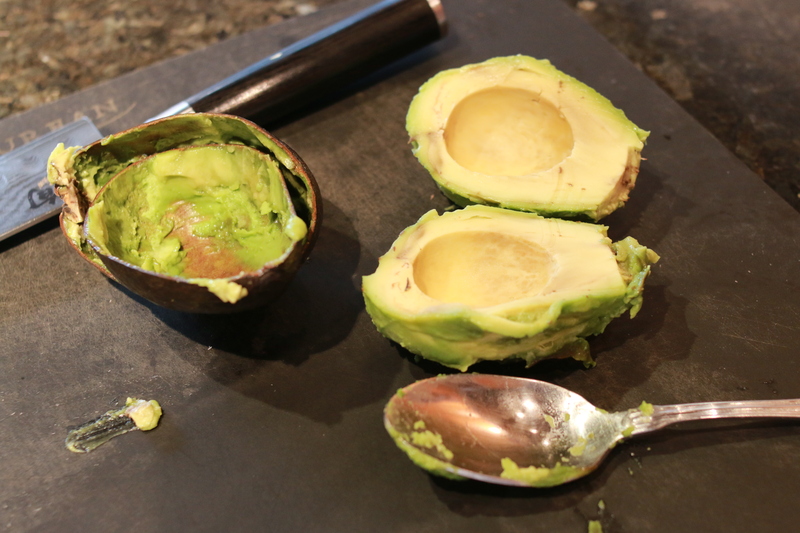 Crack one egg into the hole of each avocado half. 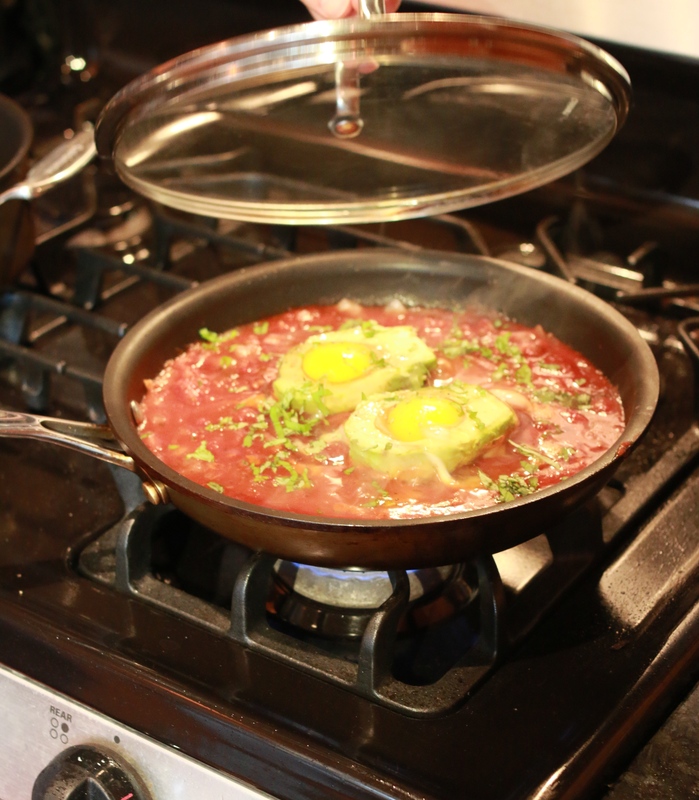 Then cover the pan and let it sit for about 5 minutes or until egg whites actually turn white and are fully cooked through. 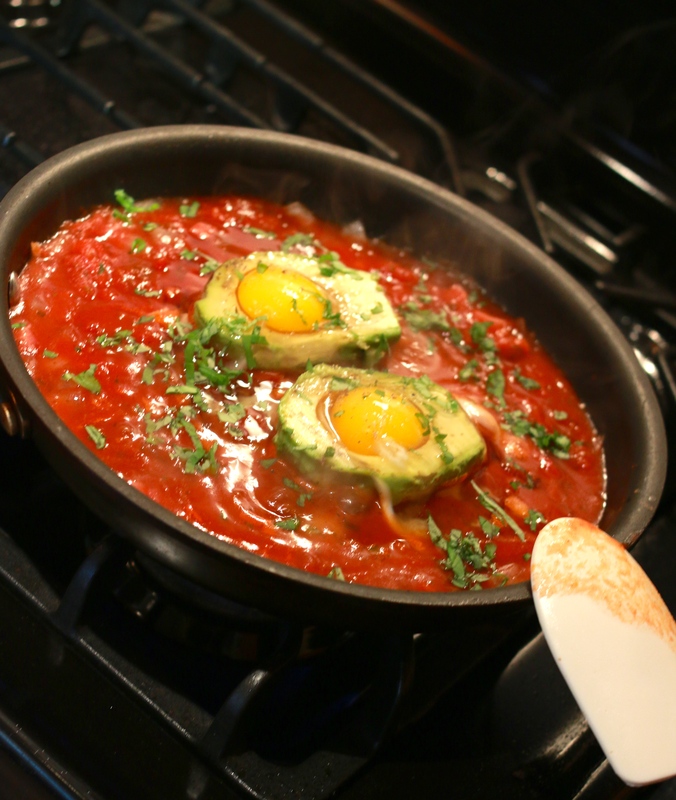 The runny-ness of the yolk is up to you. Next time we make this delicious dish we will put the pan into a 350 degree preheated oven for 5 minutes instead of heating it solely on the stove. You decide how you would like to handle this step. 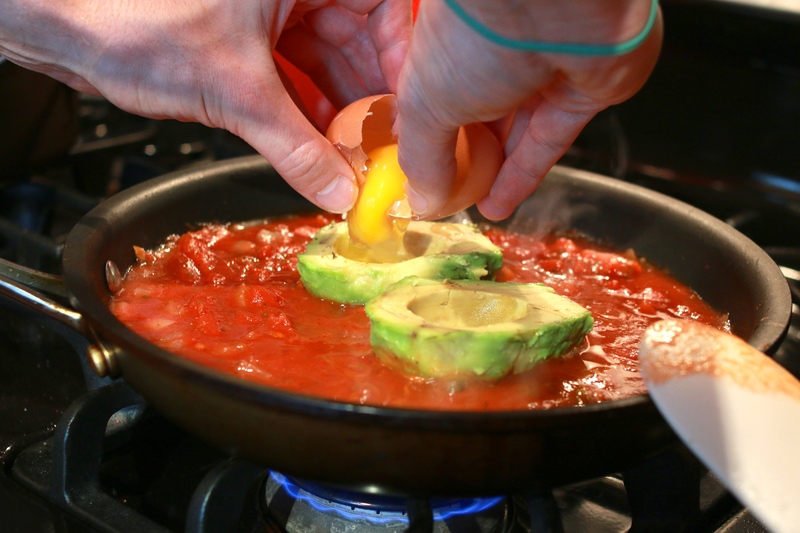 Once the egg is cooked plate the potato and avocado egg. Then smother in the tomato, onion, and pancetta. Sprinkle with parmesan. Looks delicious!!! Thanks for sharing! YUM! This looks amazing and perfect for those of us who are gluten free! Thanks for the great pictures and recipe.